The reception will be Friday, Nov 2, 4-6pm. 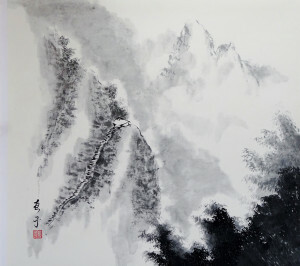 On October 30th, ArtCenter Manatee welcomes the Sumi-e Society of America to their galleries. 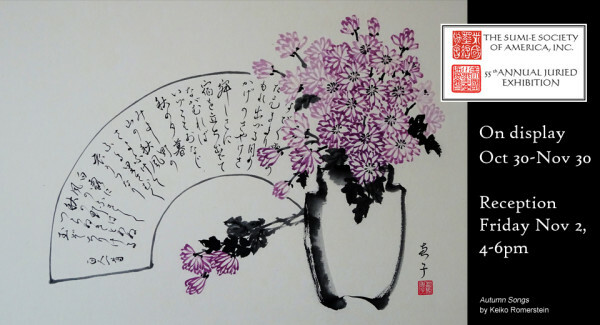 SUMI-E is the Japanese word for Black Ink Painting. East Asian Painting and writing developed together in ancient China using the same materials —brush and ink on paper. Emphasis is placed on the beauty of each individual stroke of the brush. 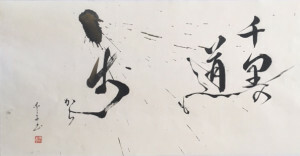 The Chinese speak of “writing a painting” and “painting a poem.” A great painting was judged on three elements: the calligraphy strokes, the words of the poetry (often with double meanings and subtle puns) and the ability of the painting strokes to capture the spirit (Ch’i) of nature rather than a photographic likeness. The artists of Japan, Korea and Malaysia learned from the Chinese and then developed their own versions of East Asian brush painting. Over the years, the Society as grown and there are many chapters in the United States. The Sarasota Chapter is sponsoring this 55th Annual Juried Exhibit, along with the National Chapter. The exhibit includes 112 paintings by artists from 18 states and Germany. The exhibit and reception are free and open to the public. The reception will be Friday, Nov 2, 4-6pm. The juror for the exhibit will be Professor Yifei Gan. Professor Gan is an internationally recognized artist and curator whose drawings, paintings, digital media and traditional Chinese brush paintings have been exhibited in solo and invitational exhibitions throughout the US, Europe, and China. Professor Gan will also be conducting workshops at the ArtCenter. While the first workshop is full, there are a few seats remaining in the one on November 5-6, Monday & Tuesday, 9-4. Call the ArtCenter to reserve your seat: 941-746-2862. 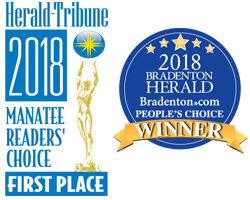 The exhibit is sponsored by the Bradenton Area Convention and Visitors Bureau.